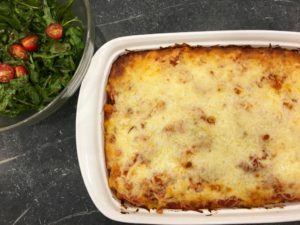 Most Baked Ziti recipes call for layering the pasta, sauce, and cheese like you would with lasagna. This recipe is a little different than the others: it calls for mixing the cooked pasta with the cheese mixture, which makes this Baked Ziti so creamy and gooey. In a large bowl, combine the ricotta, ½ the mozzarella, ½ the Italian 5 cheese blend, the egg, half the marinara, and salt and pepper (to taste). Add the cooled ziti and combine. Add the coated pasta to a 13×9 baking dish. Top with the rest of the marinara and then the rest of the cheeses. Cover dish with foil and bake for 30 minutes. Remove foil and bake 10 more minutes, until top is slightly browned. 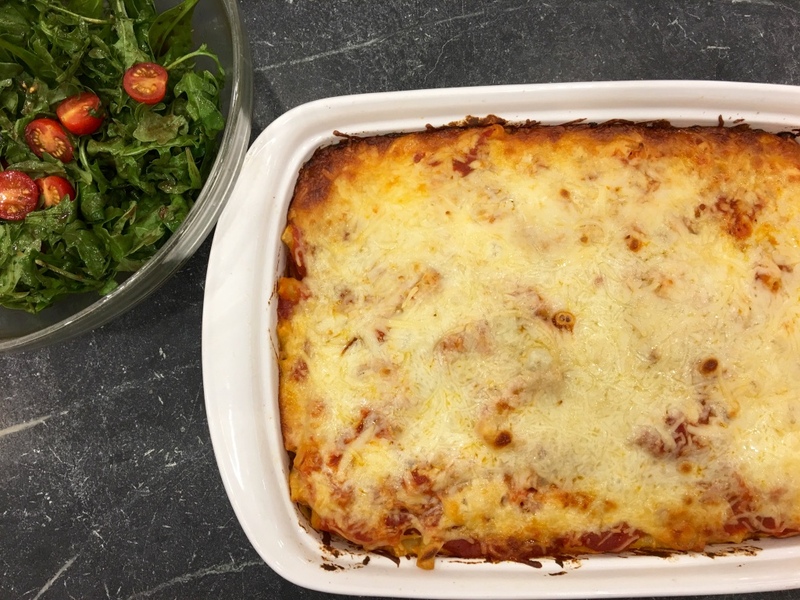 Copyright © 2017 Our Everyday Dinners - This is an easy recipe for how to make Baked Ziti.